We have had so much fun raising funds for good causes, in Term 1 & 2 we held three Charity Events; RNLI Awareness Day, British Legion Poppy Appeal (Separate from purchasing Poppies) and Children in Need. Thank you to everyone who has generously donated to these worthwhile causes. Thank you to Stocks of Whitstable who have very kindly donated rollers, brushes and trays to the school. The School Council sent a letter asking if they would be able to donate anything to help paint the school toilets. Stocks were very impressed with the letter so good work School Council. The grand total the school raised for Connie's Porchlight appeal was £415.44. We are delighted to let you know that her Dad's company Skillcast heard about her fundraising campaign and were so impressed at her awareness and confidence in setting up the charity event at school that they are donating £500 to Porchlight in the name of her campaign. Amazing! Well done Connie. Connie in Panda Class wanted to help homeless people so she and her Mum organised for Nathan from Porchlight, a Kent charity that helps the homeless, to come in and give a talk in assembly this week. Connie very bravely spoke to the whole school and then Nathan involved the children by asking them how they could tell if someone was homeless. He then explained what Porchlight can do to help them. Each child has been given a money box as part of the 'Pennies for Porchlight' campaign to fill with pennies, pounds or whatever they can spare. If children could please return the boxes to school after the February holiday. 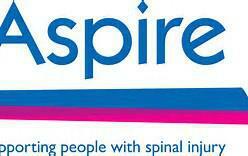 A big thank you to Connie for organsing the assembly and we hope you are all able to help us support this worthy cause. Well done to a very dedicated group of our children. As a team Honey, Zane, Freya and Mouse swam the equivalent of the English Channel, 22 miles in 12 weeks and raised £280 for the charity Aspire. What an inspiring bunch, well done! 22 Miles. 12 Weeks. Your Pool. Your Challenge. Well done and good luck to Honey, Zane, Amelia, Freya, and Sophie who are taking up the ‘Swim the Channel in your local pool and help to raise money for people affected by spinal cord injury’. Whitstable Swimming pool have said that many saw Honey and Amelia in last year’s Aspire challenge and took inspiration to do it this year! As you may remember, at the end of last year Honey in Penguin class and another superstar in Year 5 did the Aspire Channel Swim. They took on the amazing challenge of swimming 22 miles over 12 weeks. It has taken a while but we are pleased to say that they completed the challenge and managed to raise a whopping £1,154.33. Thank you to everyone who supported them and for their support. We have received a certificate from Porchlight, thanking us for raising £94.20 for our Christmas jumper day on the last day of term 2. Well done everyone. The Charity SNAAP are holding a pop up cinema exclusively for SNAAP families. They will be showing the Polar Express on Monday 14th December at Prince of Wales Youth Club, Canterbury at 4.20pm. To Book on please email Sarah at snaapevents@hotmail.com with the number of seats you require. This is a free event funded by Whitstable outdoor film festival but donations welcome on the door. Many thanks to the parents and carers who came along to the ‘Endowed Elevenses’ in aid of the SNAAP charity. It was a lovely turn out with delicious cakes, a raff and an opportunity to sit down and have a chat. It was organised by our FLO Sara Massey and mums Helen, Louise and Rachel. Many thanks to the parents and carers who provided cakes. A total of £106.11 was raised for the charity and a good time was had by all! If you would like more information about SNAAP days out please contact Sara Massey by phone or email smassey@whitstable-endowed.kent.sch.uk. The World Walks for Water and Sanitation is a global mobilisation event demanding action across the world to address the water and sanitation crisis. There are many children in Africa who are without water and have to travel several kilometres daily to gather just a few litres and carry the water back to their homes. On Friday 22 May, our Year 6 pupils took park in a Sponsored Walk 4 Water along the beach from Whitstable to Tankerton. The event was organised by the Rotary Club of Chestfield and provided the children with rucksacks in which they carried two litres of water! In recognition of our fundraising, we gratefully received these lovely dictionaries from the Club. 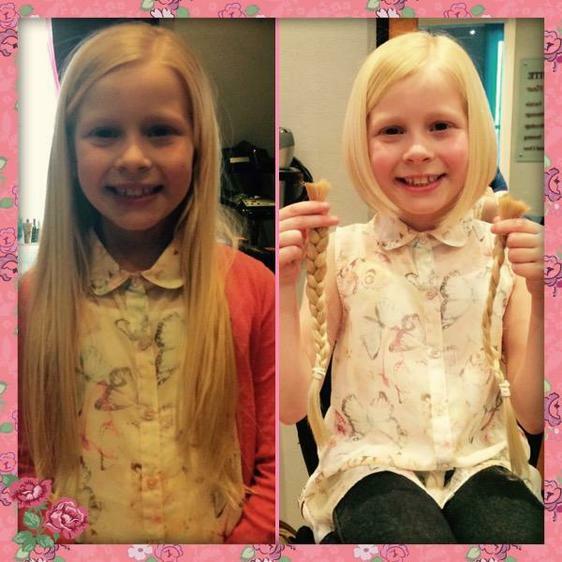 A few weeks ago we told you about Lily in Phoenix class and how she was cutting off her long hair to raise money for the Little Princess Trust, who provide wigs for children that have lost their hair through aggressive cancer treatment. We are pleased to let you know that Lily managed to raise an impressive £540. She is also sporting a lovely new haircut and has the knowledge that her hair has gone to help another child. Well done Lily, we are very proud of you. Camilla John, mum to Teddy in Phoenix class, recently returned to Zimbabwe with the charity ZANE. During her trip, Camilla visited a hospital in Harare where dozens of children are currently being treated for Clubfoot. Clubfoot is a congenital deformity where the foot is permanently twisted, making it painful and almost impossible to walk. The Endowed will be continuing its support of ZANE with a fundraising event, in collaboration with other Whitstable schools, to provide a pop-up classroom for a school in Zimbabwe in the next couple of months. Lilly Uganda is a UK Charity that aims to provide shelter, medical care and education to children in Uganda who were living in poverty. Pat Lawrence from St Alphege Church is vising the school at the beginning of April and is hoping to take with her everyday school essentials such as notepads, pencils, rubbers, sharpeners, bath towels, face cloths and toothbrushes which are urgently needed by the charity. If you would like to donate items, St Alphege Church is open every morning and there will be a box inside the door to leave your donations.